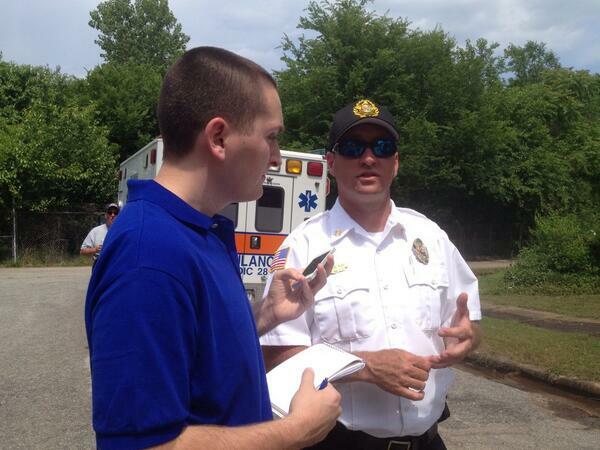 Herald-Journal intern Andrew Moore interviews South Carolina State Fire Marshal Shane Ray. For the next couple of months, I have the pleasure of serving as a mentor for one of our summer interns at the Herald-Journal. Andrew Moore is a junior print journalism student at the University of South Carolina in Columbia. I have a cumbersome checklist for him to tackle while he is with us and the internship program the paper has developed provides the interns with great exposure to the industry. I’ve always said there’s no better way to learn about the field than to actually work in it. Even in college, I felt it was more beneficial to work on a college newspaper and in internships that to sit in a classroom. I’ll be guiding Andrew as he writes his own bylines, shoots video, shadows me on assignments, learns how to use Twitter effectively and dives into data-based reporting and info gathering. The Herald-Journal in Spartanburg County is a great place for him to soak up some experience before he graduates. It is an honor for me to help foster growth and talent to the next wave of journalists entering the industry.